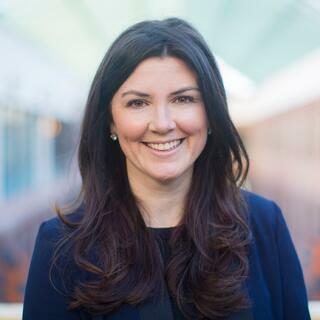 Today we’re excited to announce that HubSpot has appointed Katie Burke as Chief People Officer. Katie has served as HubSpot’s VP of Culture and Experience for the last two years and has been an invaluable part of establishing company culture globally as HubSpot has expanded. In this new role, Katie will continue to oversee the company’s culture and experience initiatives as well as all people operations, including global recruitment and strategy and human resources. We’re thrilled to announce that Jay Simons, president of Atlassian, a leading provider of team collaboration software, has joined the HubSpot Board of Directors. Nearly one year ago, HubSpot moved it's Dublin offices to a brand new space at One Dockland Central in Dublin’s IFSC. Today, HubSpot is excited to share that the company's footprint in the building complex will be expanding in 2017. Save the date: HubSpot’s growing! We’re pleased to announce that we’ll be expanding our European footprint by opening an office in Berlin, Germany during the second half of 2017. The German office will support HubSpot’s growth across Europe and increase its ability to help businesses in the region transform the way they attract, engage, and delight customers. For sales reps, meetings and demos are the name of the game. And, the more seamless that process, the better. That’s why we’re excited to announce a new integration between HubSpot and join.me that does just that. All week long, we’re taking an in-depth look at regional data collected from HubSpot’s State of Inbound 2016 report. HubSpot is proud to accept two awards from the Employer Support of the Guard and Reserve (ESGR), an agency of the Department of Defense. HubSpot is pleased to share that Yuri Akahira has been appointed General Manager of our soon-to-be opened Japan office, effective immediately.